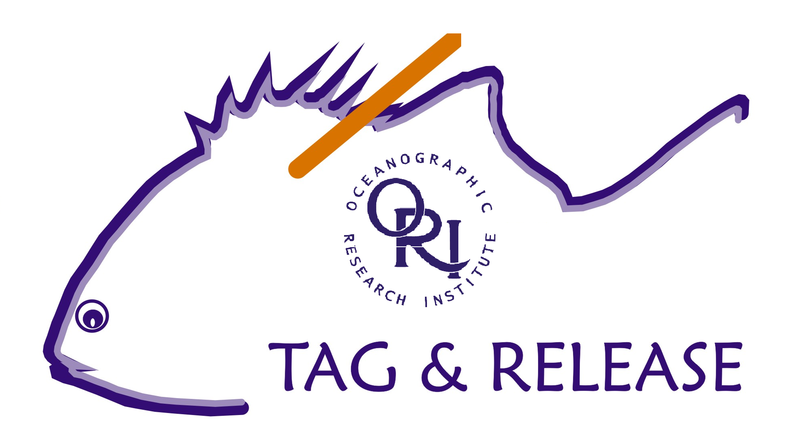 The Oceanographic Research Institute’s Cooperative Fish Tagging Project (ORI-CFTP) is a long-term collaborative marine environmental project with the overall aim of ensuring the wise and sustainable use of southern Africa’s marine linefish resources. It involves the voluntary cooperation of conservation-conscious anglers (i.e. anglers who voluntarily tag and release fish they catch) and the marine angling public at large who report the majority of the recaptures (i.e. a fish that is recaught with a tag in it). Read More. If you are interested in becoming a member of the ORI-CFTP, live near the coast, fish often and know your different marine linefish species then please register below. If you have caught a fish with a tag (i.e. a recapture), please email us the details or complete a recapture form (see below). Once you have submitted the relevant information you will receive a confirmation email. The Southern African Species Profiles This publication is a compilation of species profiles for 139 important marine linefish species from 38 families caught in southern African waters, including both teleosts and elasmobranchs. Tag and Release of Billfish — Yes or No? The Oceanographic Research Institute (ORI) initiated tagging of billfish in South Africa in the 1970s. To date, after nearly 30 years of tagging, there have been surprisingly few recaptures. Monitoring groupers in South Africa A decade of monitoring in a marine protected area provides valuable insight into grouper conservation. Tagging is an important technique used by fishery biologists to track the movement and growth rate of fish. 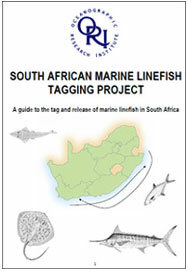 This information is essential to the wise management and sustainable use of our marine linefish species. If you catch a tagged fish, report it online or send us an email with the relevant data.